Welcome to rvsolarsystemsonline.com. 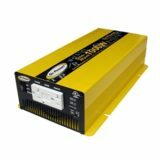 The use of this web site constitutes an agreement between you (Purchaser) and Helios Renewables (dba rvsolarsystemsonline.com) and any of its affiliates. Use of this website signifies Purchaser agreement to the terms and conditions of use set forth below in the Agreement. 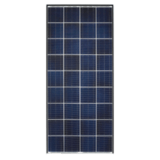 Products, Content and Specifications: All features, products, content, specifications, and prices of products and services on rvsolarsystemsonline.com are subject to change at any time without notice. Weights, measures and similar descriptions are approximate. There is no guarantee any products or services will be available at any time. Pricing & Availability: We reserve the right to make changes on price and availability without notice. 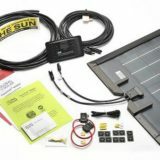 Shipping Limitations: Rvsolarsystemsonline.com and Helios Renewables carefully inspect all shipments before being sent. Customers must inspect their shipments upon delivery prior to signing the release. Customers who will not be signing for their order when it is delivered, are responsible to see that the person signing has read and understands rvsolarsystemsonline’s terms and conditions. An independent shipping contractor such as UPS, FedEx or a commercial trucking company will deliver the order. When the shipment arrives the driver will ask you to sign for the delivery. This is a legal document stating that the package is being delivered in good condition without damage and that the customer is waiving any additional claim from the shipper. Before signing, inspect the package(s) closely on all sides. Note any damage including scuffs, dents, tears, punctures or creases on the delivery receipt. If there is anything unusual with the package, the customer has the right to open it to inspect the contents. If the driver is unwilling to wait while you inspect all of the items, you may mark on the delivery receipt “Concealed Damage Possible”. 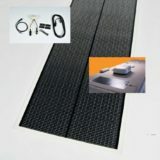 If there is damage to the shipment, then you must refuse the package and contact rvsolarsystemsonline.com immediately. 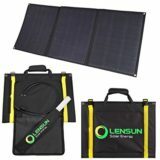 Return Policy: Standard in stock merchandise purchased through Helios Renewables dba (rvsolarsystemsonline.com) may be returned within 30 days of the receipt of the product or 60 days if you are a Preferred Installer. You will receive a credit towards your account, provided the merchandise is returned in the original packaging in new and resalable condition with the original blank warranty cards, manuals, and all accessories. Once you have been instructed where to return the item you are responsible for shipping charges back to that address. Once issued, RMA numbers are valid for 15 days from the date issued and items must be received in that time frame. Please reference this number in a clear location on the outside of the package when returning product. The customer shall be responsible for the return of any unused product and agrees to use only reputable carriers capable of providing proof or delivery and insurance for the value of the shipment. Accuracy of Information: Rvsolarsystemsonline.com make no representation as to the completeness, accuracy or current information on our web site. Personal Account: Purchaser agrees to accept responsibility for all activities that occur under their account or password and are responsible for maintaining the confidentiality of their account information, password and for restricting access to such information and its use. Web Site Information: All content, and other material displayed on rvsolarsystemsonline.com are copyright protected and cannot be copied or used without prior written permission. Third Party Links: Rvsolarsystemsonline.com may provide links to other web sites which are not owned or controlled by rvsolarsystemsonline.com and therefore cannot be responsible for their accuracy, privacy or contents. When purchaser elects to select a link it is done so entirely at its own risk. Web Site Risk: Use of Rvsolarsystemsonline.com is at your own risk. We reserves the right to change, suspend, or discontinue all or any aspect of this at any time without notice. Revisions to these Terms and Conditions: Revisions to these Terms and Conditions can be made at any time without notice. Purchaser is responsible to review these on a regular basis. Termination: rvsolarsystemsonline.com or purchaser may suspend or terminate purchaser account or use of rvsolarsystemsonline.com at any time or for any reason. purchaser is liable for any orders that are placed or charges that are incurred prior to termination.